air joe is proud to serve the Clarendon Hills community! We are proud to be a part of this community, serving your heating and air conditioning needs: air joe is listed in many directories under titles such as : Clarendon Hills Heating Contractors, Clarendon Hills Heating, Clarendon Hills Air Conditioning, Heating Repair, Air Conditioning Repair, Clarendon Hills Heating and Cooling Contractors, Rooftop HVAC Repair, Ductless AC Systems, Boiler Repair and Clarendon Hills Heating and Air Conditioning Contractors. We are here for you whether you need furnace or air conditioner repairs, heating and cooling estimates, equipment replacement or new installation of a furnace, air conditioner, heat pump, rooftop heating and cooling or comfort products to improve the air filtration for your home or business. 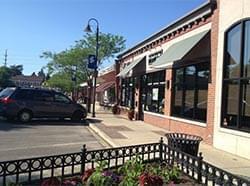 About Clarendon Hills, IL - Happy to be your hometown Heating & Air Conditioning Contractor! Clarendon Hills is a Chicago suburb located in DuPage County, Illinois, and its population as of 2010 was roughly 9,000. It is home to a Metra station that provides residents with daily transportation to Chicago and Aurora, and bus service also comes to this community. One of the most popular happenings in this village is the local “Dancin’ in the Street” event, which happens every summer. Clarendon Hills and the Chicago area is known for having hot and humid summers and cold, snowy winters, and the region is part of a humid continental climate zone. Clarendon Hills is home to a variety of unique attractions. Animal lovers may like to take a trip to Sarah’s Pony Rides, and golf enthusiasts might prefer a day out at Hinsdale Golf Club. Additionally, nature enthusiasts may like to spend some time at the Mayslake Peabody Estate, while art fans might enjoy Boulevard Fine Art and Custom Framing.